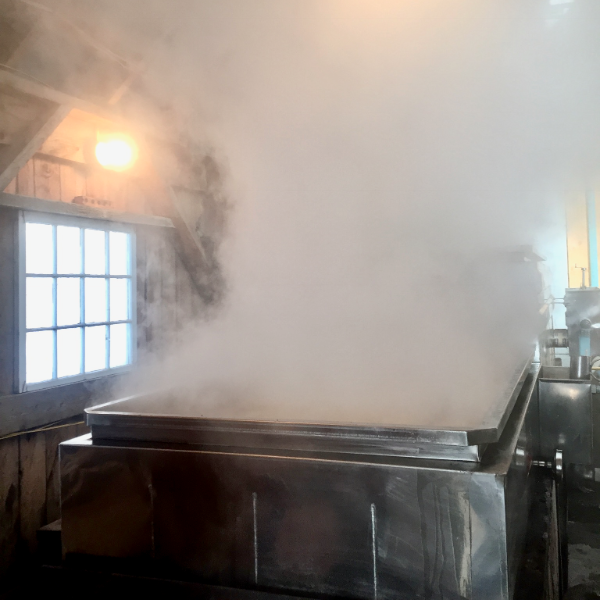 It’s sugaring season in Vermont and that means the air is filled with the sweet smell of sap bubbling away! Maple syrup is to Vermont as bagels are to NYC. They’re the best at it and they’ve been doing it a long time. 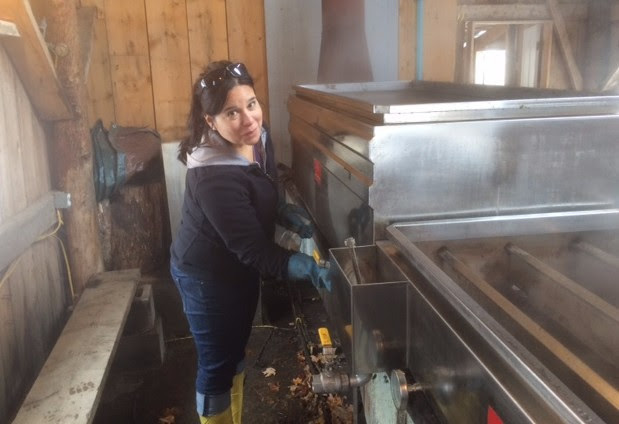 Producing maple syrup is a Vermont tradition that spans generations and can be found on just about every scale from large productions you can find on grocery store shelves to independent syrup producers who make just enough for their pancakes in the morning. Our friends at Jasper Hill Farm in Greensboro, VT wrote a great description of the sugaring process from sap to finish. Check it out below! 50 degrees in mid-February? 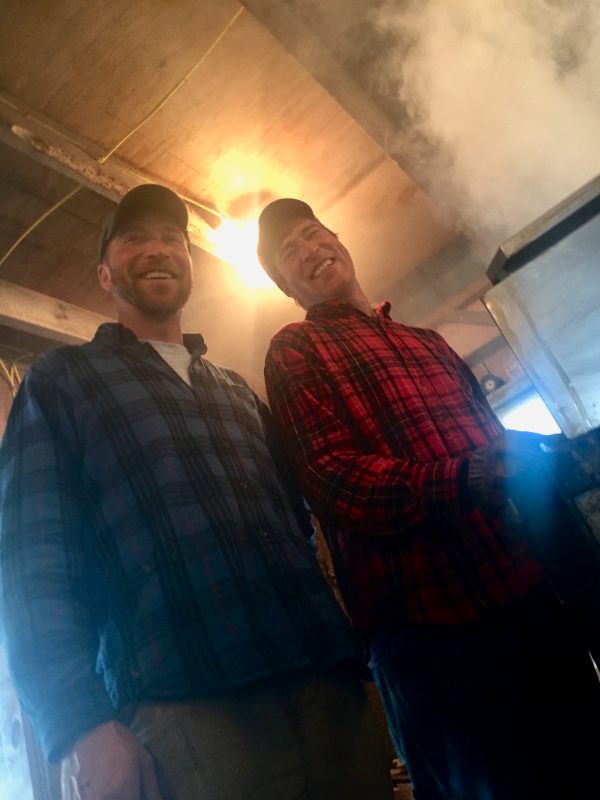 Well, it’s not the usual weather in the Northeast Kingdom, which tends towards the arctic this time of year, but for a certain set of Vermonters, the unusual warm spell we just had meant one thing: Maple Syrup season had begun. As the weather warms and snowy backroads transform into mud luge tracks, the sap of the Sugar Maples begins to rise from deep within the roots, where it has been locked up all winter, making it accessible to those seeking to tap the sweet elixir and transform it into Vermont’s other trademark product (alongside cheese of course). When you drive through the woods of Vermont, you’ll often see hundreds of metal buckets attached to trees, or complex networks of piping winding from trunk to trunk like a giant spider web. These are the fingerprints of a maple syrup operation. 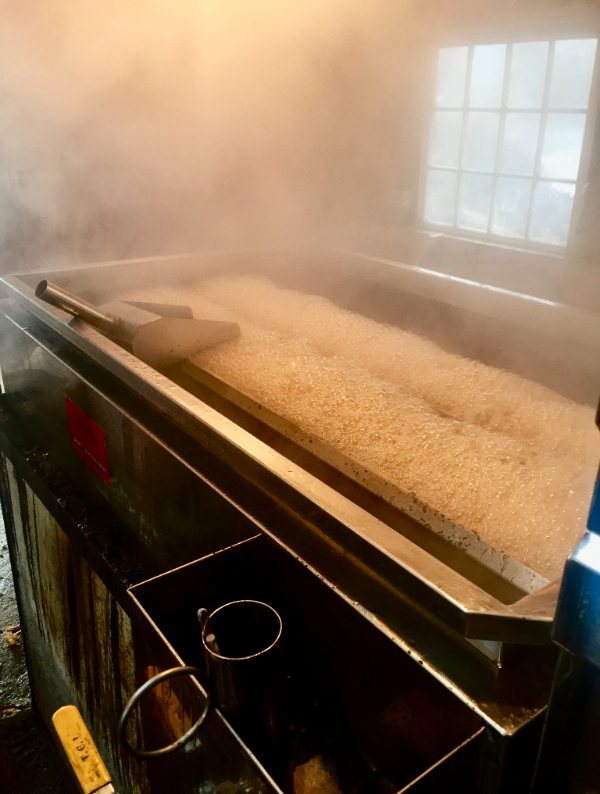 At Jasper Hill, we have our own resident Sugar Maker: James Coe — who in addition to working with us is co-owner, with his wife Nella, of Ledgenear Farm in West Glover, VT, 250 acres of mixed Maple sugar woods, softwoods, hay fields and pasture. 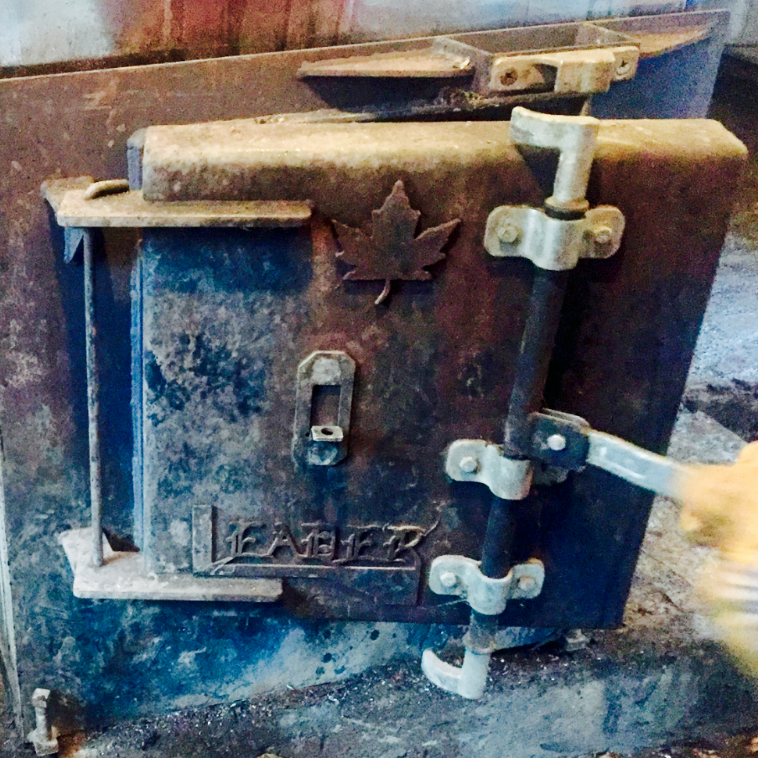 Ledgenear was for a long time a dairy farm as well, but dairying stopped in 2005, and the Coe’s have shifted their focus to sugaring and other sustainable agricultural uses. Nella and James got married in the field across the street from the sugar house. James is the resident architect at Jasper Hill and the mind behind many of the innovative designs at Jasper Hill including our new Hay Drier facility, as well as Co-Owner at the Andersonville Farm, our second dairy farm down the road. Every year, when tapping is about to begin, Nella puts on her yellow boots, a tradition that signals the start of the season. The Coe family has been tapping the trees on this land for two generations now. When James was a child, he and his brothers would hang buckets individually on every tree. Checking on the taps and collecting the sap, bringing it back when full to add to the large evaporator pans over the wood fired arch, where the sap would be slowly cooked down. Since then they have been slowly building up the operation over the years, eventually switching over to a system of plastic tubing that runs from tree to tree (although some buckets are still used), hooking in to the tap before continuing on to the next, with the pitch adjusted just so to ensure that gravity brings all the sap to the sugar house, situated at a low point in the woods. Each tap will give around 10 gallons of sap over the season, with the largest trees tapped up to three times around the trunk. 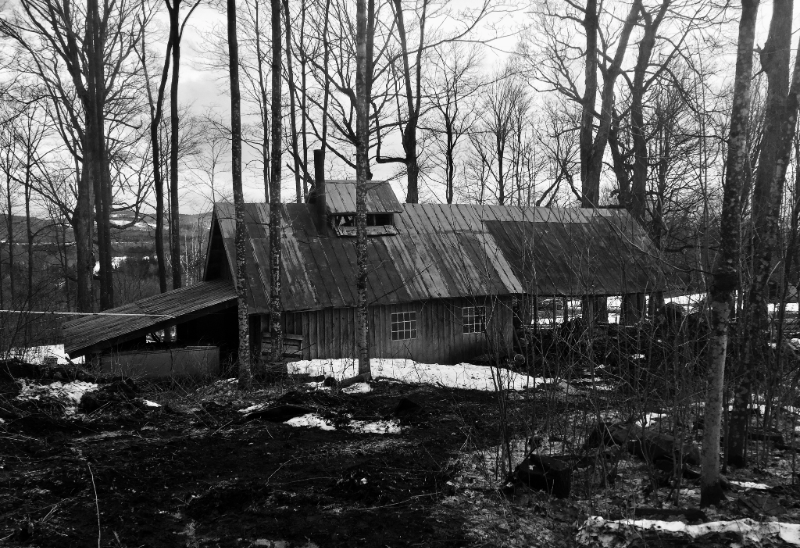 Once there is enough sap stored at the sugarhouse, “Boiling” can begin. 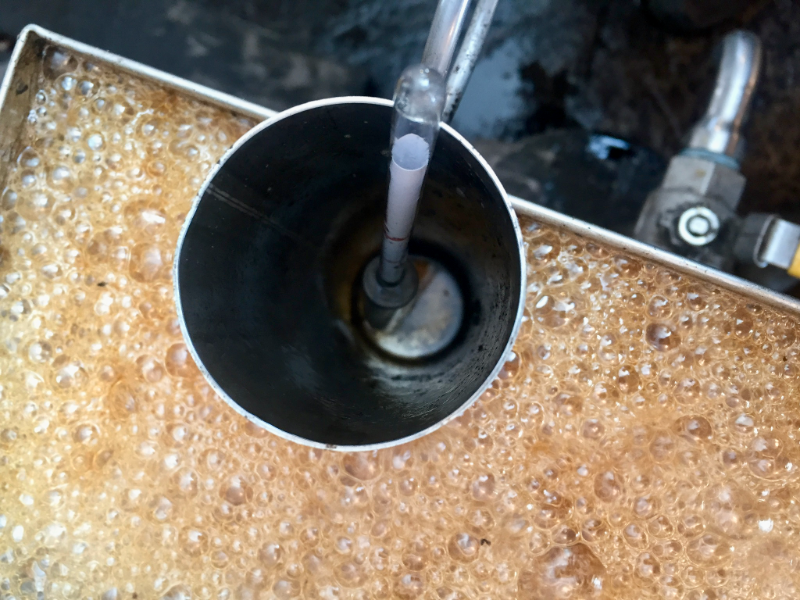 The sap is transferred from stainless steel storage tanks to the 4×12 evaporator. The evaporator consists of a flat bottomed finishing pan up front, and a raised flue pan (for maximum surface area) in the back set over a brick lined “arch” where the fire is built. James “fires up the rig”, and stokes the fire every 20 minutes or so to maintain a steady, rolling boil. The sap bubbles and foams furiously and steam fills the air. Despite all the action in the pans, it is a slow slow process to evaporate away ~98% of the sap (water). A sugarhouse in operation is a sight to behold, the wooden shack glowing from within as steam pours from the rig and smoke and sparks billow out of the smokestack. The interior, warm and foggy from all the water vapor, is redolent with the sweet buttery aroma of maple syrup coming into being, mixed with the smokiness of the fire. Cooking down to syrup takes a long time; 39 gallons of water have to be removed for every 1 gallon produced. Depending on how much sap has been harvested, it can be an all-night or multi-day affair. But the process itself becomes a celebration, with friends and family coming from all around to assist in the process and enjoy the fruits of their labor. Music plays, hot dogs cook in a boiling pot of maple sap, and bubbly beverages are always on hand. And if it runs into the wee hours of the morning, James will tell you that a hot cup of fresh maple syrup is as effective a pick-me-up as coffee! 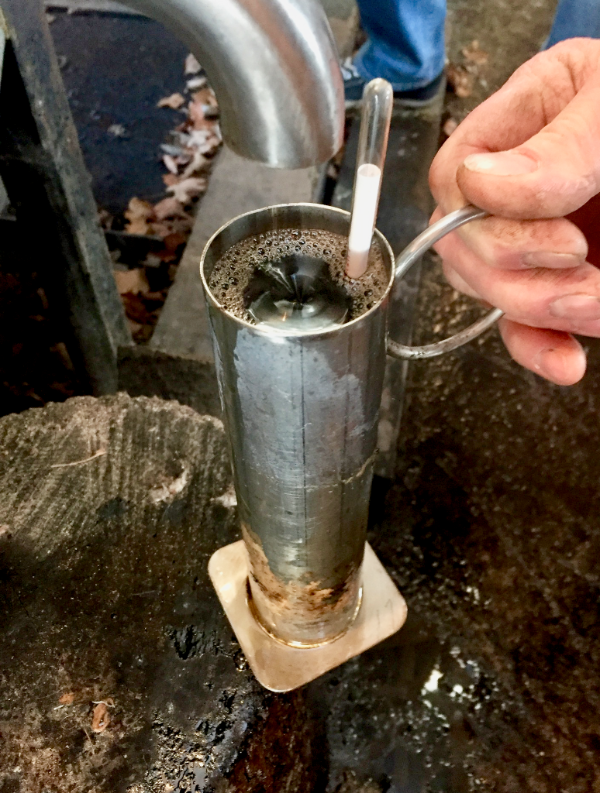 Tasting the maple syrup as it’s cooking down is a part of the process, and we could experience the transformation as the warm liquid transformed from clear and mildly sweet, to gradually darkening in color and deepening in flavor. “Golden Color/Delicate Taste” is the lightest in color, a pale golden color, and has a delicately sweet, original maple flavor characteristic. This is the highest quality maple syrup and the most prized. “Amber Color/Rich Taste” will have a darker color than Golden and may have a flavor which is more pronounced than that of Golden Color/Delicate Taste, but which is not strong or unpleasant. “Dark Color/Robust Taste” will be darker still, more towards a caramel/brown color. It may have a flavor which is stronger than that of Amber Color / Rich Taste, but which is not sharp, bitter, buddy or off-flavor. ”Very Dark Color/Strong Taste” has a very dark color, more towards a molasses color and opacity (The United States Department of Agriculture does not have an approved visual glass comparator which compares to the light transmittance of this grade). Very Dark Color/Strong Taste will have a flavor stronger than Dark Color/Robust Taste. As cheesemakers, we were fascinated to learn that there is a microbiological aspect to sugaring as well. The longer the sap is stored before being cooked down, and the later it is in the season, the more microbial activity there will be in the sap. 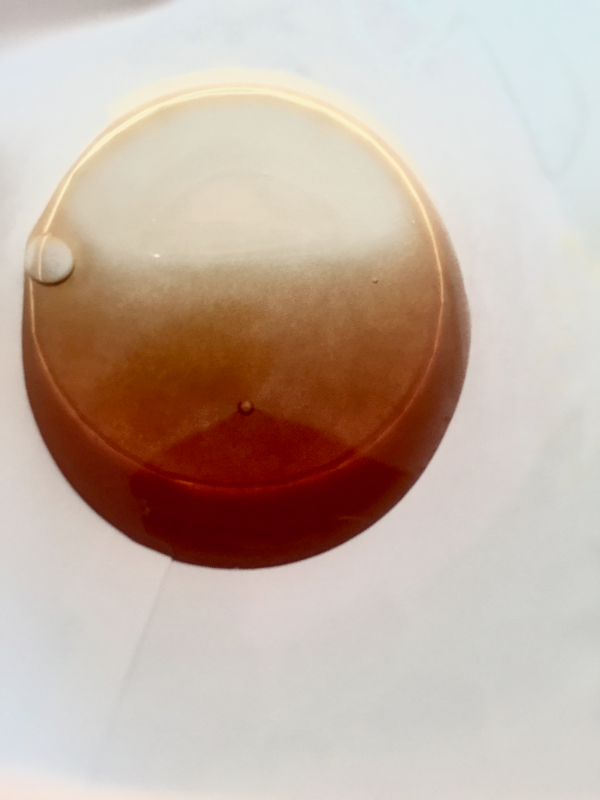 While these microbes will be essentially pasteurized out of the final product by the high temperatures, their presence nonetheless impacts the color and flavor profile of the sap, leading to a darker, more complex maple syrup. Sap fresh from the tree is approximately 98% water, with sucrose making up the remaining 2%. As the sap is exposed to the elements and drips into the bucket, it picks up microbes, which — in a process called inversion — break some of the sucrose into fructose and glucose. Amino acids, as well, increase during the season. The additional fructose, glucose and amino acids contribute to a stronger Maillard reaction (the heat-triggered browning that we associate with grilled meat, toasted bread, caramelized sugars, etc. ), which is partly why late-season maple syrup tends to be darker in color and more intense in flavor. Among syrup aficionados, there is much debate about what the “best” profile is, with some preferring the bright, delicate flavors of a Golden Color/Delicate Taste, and others seeking out the richer, smokier, more multifaceted flavors of the darker draws. Many syrup lovers will reserve syrup for drizzling over pancakes and waffles, while the darker grades will be used as a sweetener in coffee or tea, or as a replacement for sugar or honey in baking.